An estimated 85% of tea that is consumed in the United States is iced tea. Over 519 million pounds of tea are imported into the United States each year. A tea plant can grow into a tree that is as tall as 52 feet if it its leaves are not harvested. Cultivated plants are usually pruned to waist height. 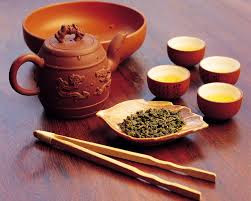 According to legend, tea was discovered in 2737 B.C. by Chinese Emperor Shen-Ning, known as the “Divine Healer.” Purportedly, he discovered the beverage when tea leaves accidentally blew into his pot of boiling water.